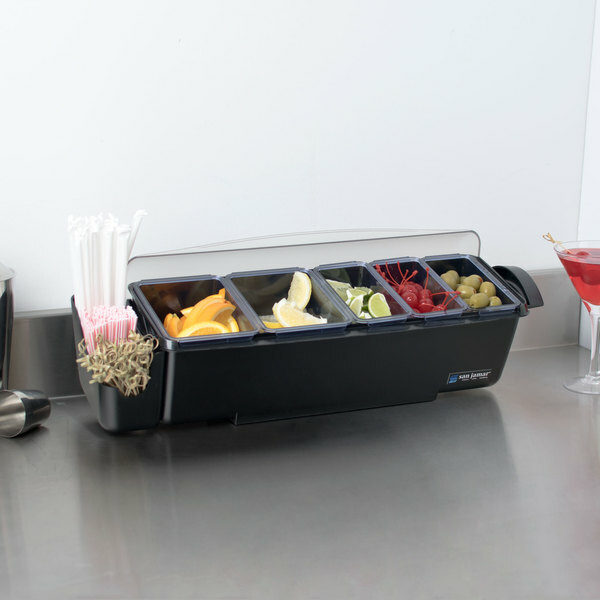 Designed by bartenders, for bartenders, this San Jamar BD4023S all-in-one, garnish/condiment tray is the perfect organization and space saving solution for your bar. 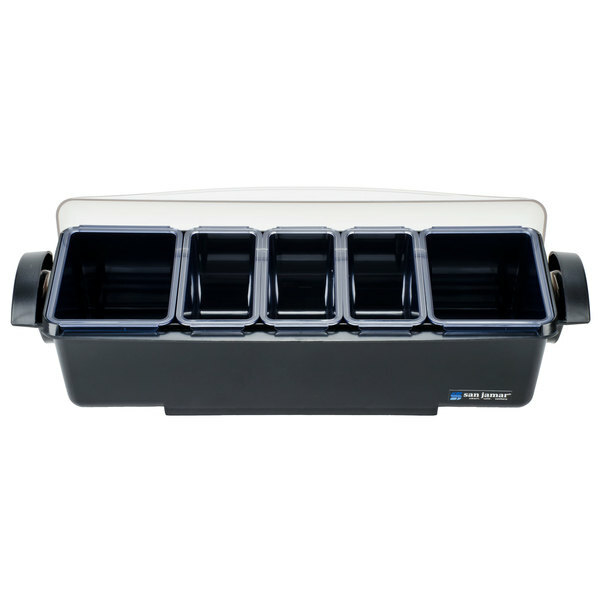 This tray fits on standard mixing rails and features a patented dome lid that rotates back for easy access and increased capacity when closed. 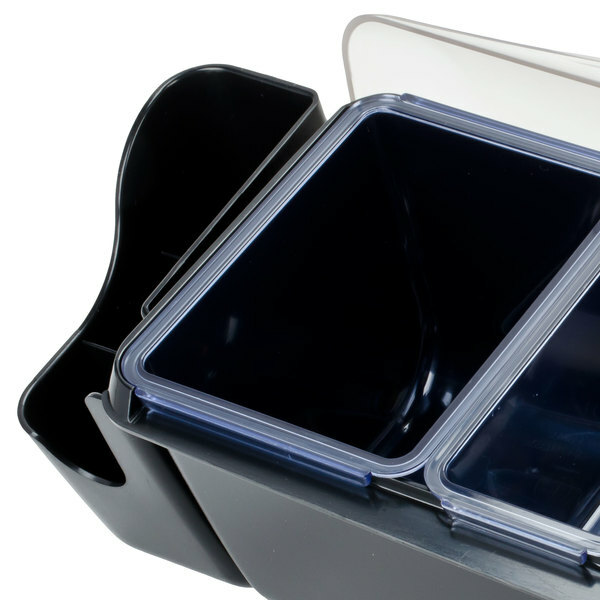 Removable inserts allow you to customize your Dome to accommodate different garnish varieties and quantities to faster serve your customers. 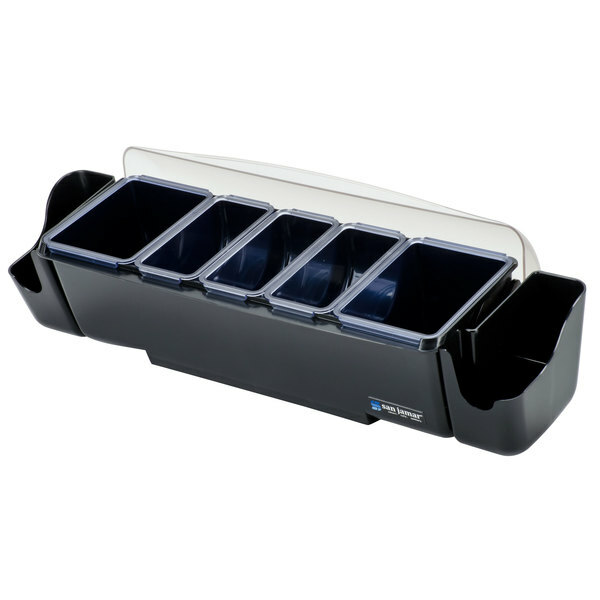 This garnish tray has a 4.5 quart capacity and includes two 3 pint deep trays and three 1 pint standard trays. 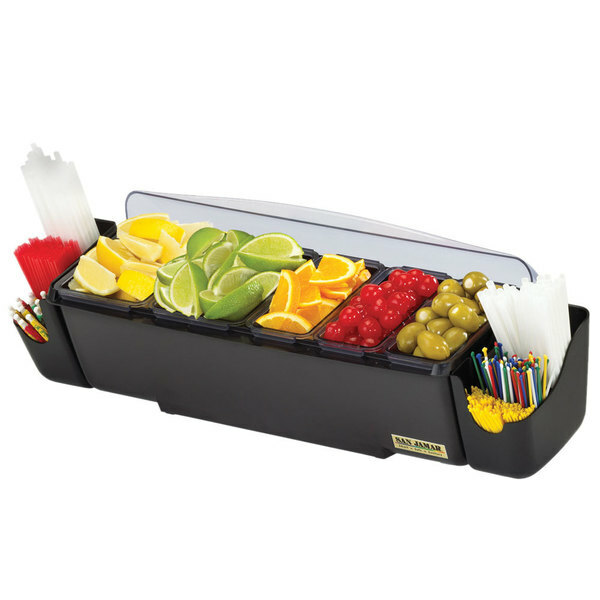 It comes with handles and two snap-on caddies to accommodate straws, stirrers, and other drink accessories. 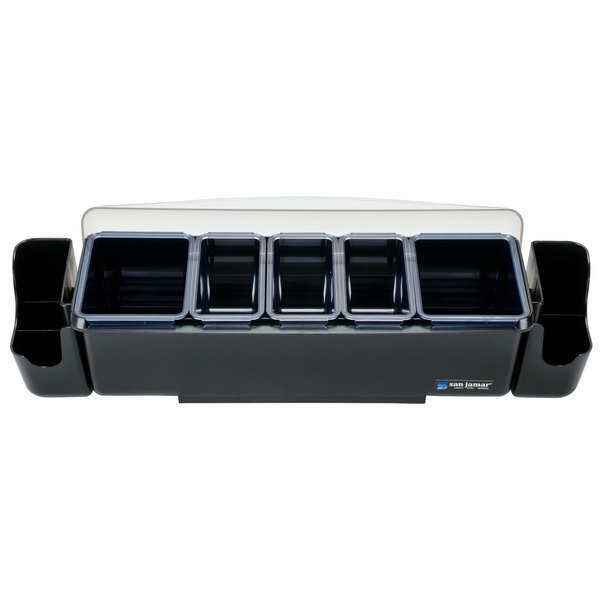 We use this at our events and it helps out a lot. The process is faster when applying fruits to the cocktails. We love it! 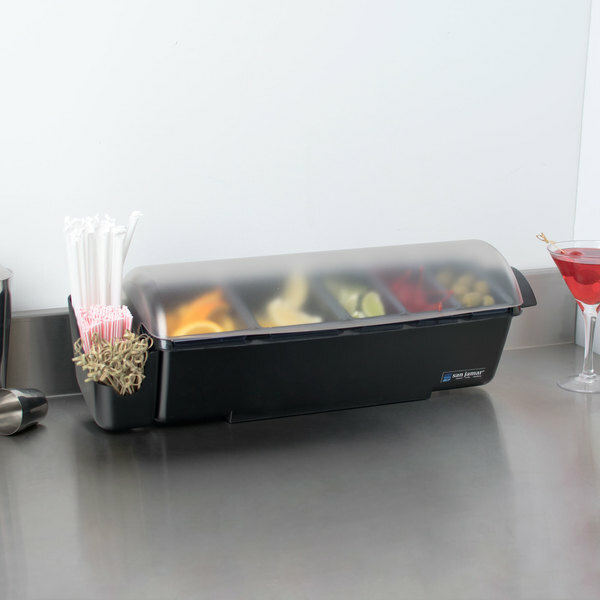 We entertain a lot and this garnish center has been a perfect addition to our buffet line. It’s perfect for our Mexican buffet’s where we need to keep several items cold by putting ice underneath the shorter bins. I like to start by saying thank you! The prices here can not be beaten. 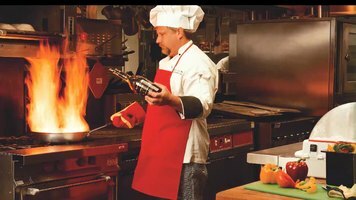 These pans are restaurant grade . I've been behind the bar for 18 years and this is the best holder I've ever seen or worked with, I've crunched so many numbers and Nobody comes close to the prices. I will use you guys forever! for the price is ok! 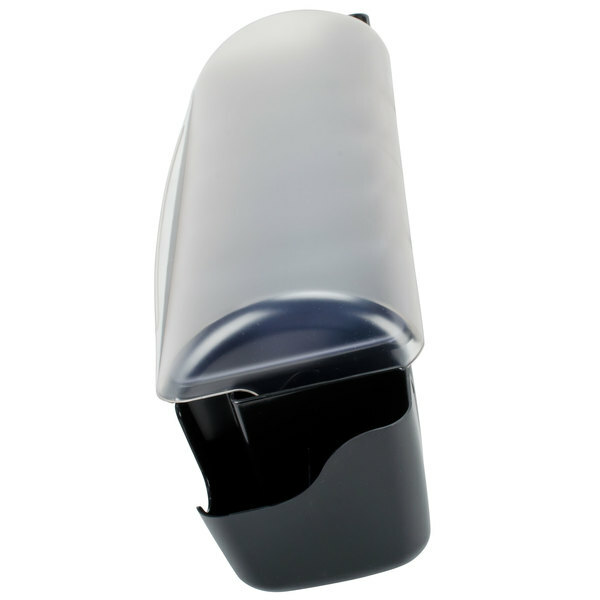 the material is excelent but if you need a bigger clears cans you can't use ice on it. that's the bad thing. This item is absolutely perfect for my home bar needs. The lip on the bottom fits perfectly on the standard drip ledge on the bar and there is lots of room for ice! 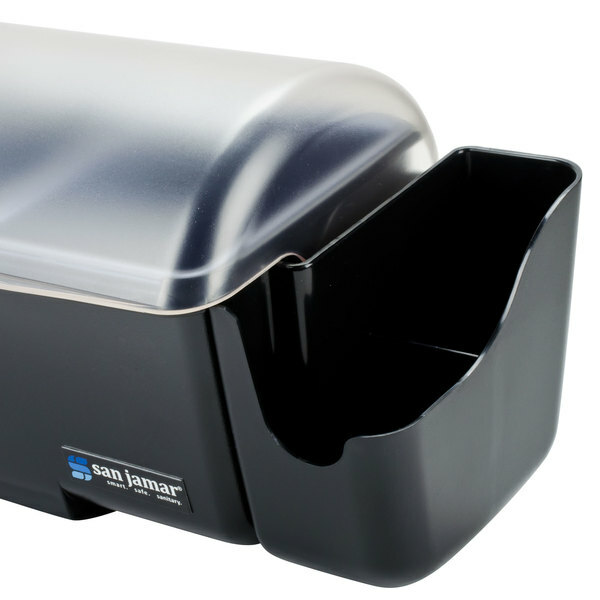 The San Jamar Dome Bar system is a stylish and affordable solution for any garnish/condiment needs. 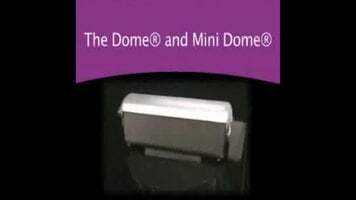 The modular nature of "The Dome" line of products allows easy and affordable customization and scalability that was able to continue to meet our expanding needs. This condiment center is amazing. Easy to clean and set up, looks at home sitting on the bar. You will not be disappointed with this item.